Make things clear for youself, of course everyone want’s to catch the biggest fish. It’s not always wise to focuss immediately on catching the biggest one out there, especially when you don’t have any experience at all at fishing. This counts for both Muskie and Pike. Let’s take a closer look to the fish you want to target. Unfortunately on the continent where I live, there is no Muskie. It’s all about the Pike. So I’m going to tell you all about it. Depending on your budget you make a choice what to buy or not. 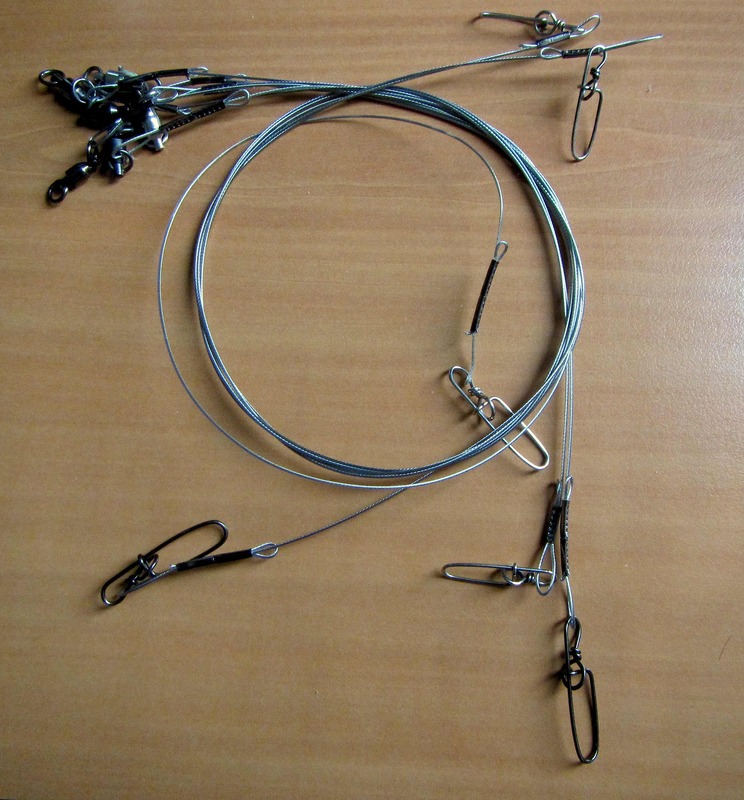 You may rather save some money for quality tackle than buying stuff that doesn’t really full-fill your needs. Pike are strong fish, and will make you pay if your material is not 100%. I always aim for 110%. I’d like to fish with the best gear out there, because my fishing demands it. I fish for Pike in big river systems, lakes, and canals. The least thing I want to encounter a big fish when my material is not right, and face the risk of loosing it. So always make sure that your gear stands up to the fish! 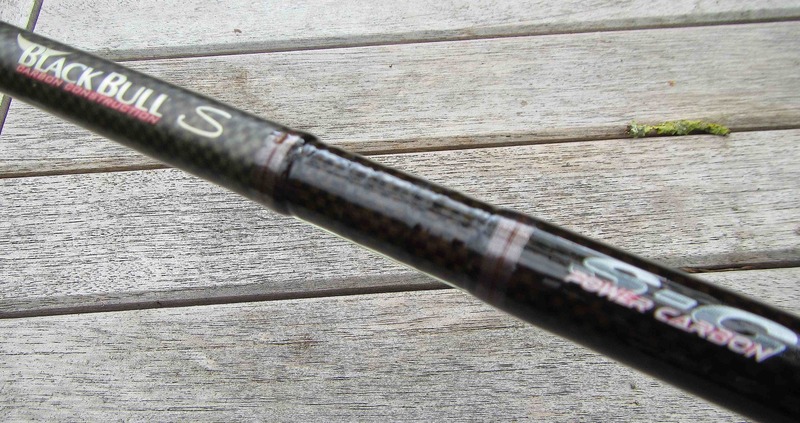 The rod you choose depends on what suites you for your style of fishing. Do you want to cast crankbaits all day long or perhaps troll them behind your boat, instead of softbaits, swimbaits and even jerkbaits? 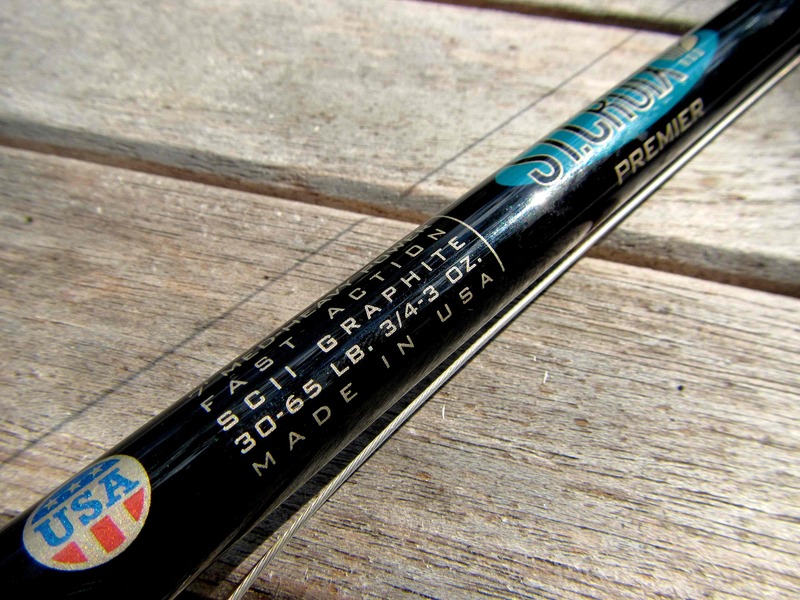 For every type of fishing there are different rods, reels, lines, leaders available. This can personal to anyone what he or she demands. I know some guys that only fish with a spinning rod for pike, and catch the biggest fish. They don’t like to fish with a reel, simply because they can’t get used to it. No problem, choose what suits you best! Over the years I’ve tried alot of rods. Some stood up to the heavy pressure of usage I put onto them, some did not. In the end only a couple of rods did it for me, and with those I can stand up to allmost any type of fishing for Pike I’d like to do these days. So to take a closer look on the rods that I use, and more importantly, where I use them for. Used for casting large double 10’s, spinnerbaits, bulldawgs, big mcrubbers, trolling large crankbaits. Nice and stiff. Equipped with a Abu Garcia 6501 C3 5.3:1 gear ratio for maximum controll. Used for both casting and trolling crankbaits, double 8’s, double 10’s. Great rod with a nice parabolic action, for maximum controll. Equipped with a Abu Garcia 7001 C reel. 4.1:1. ”Burning” large spinners and crankbaits is no problem for a combination like this! 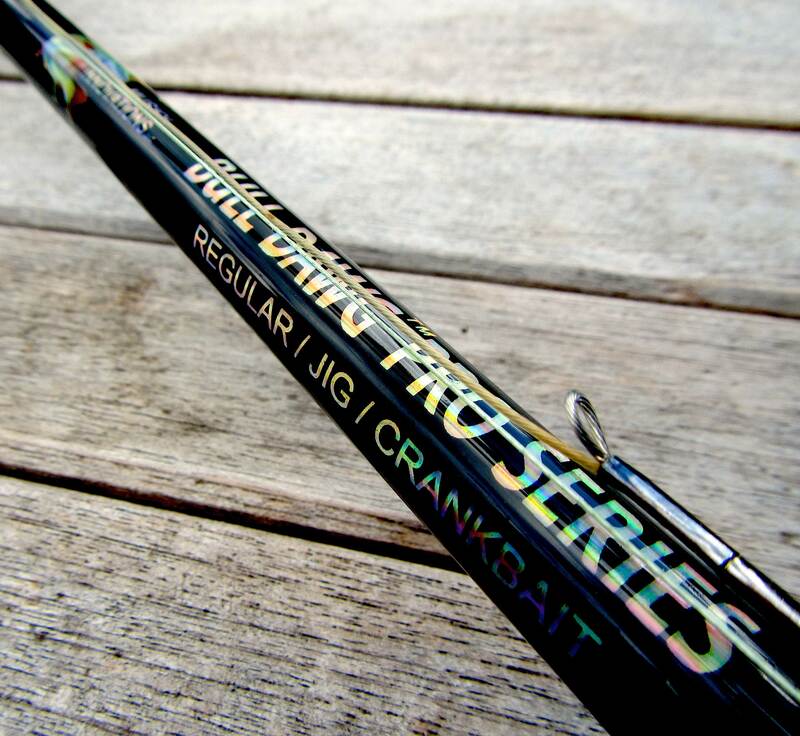 Used for vertical or pelagic jigging with large rubber softbaits, and fireball fishing for Pike. Nice short rod with a great action. Equipped with a Shimano Stradic 2500 reel. There are many brands on the market nowadays to choose from. Make sure to buy one that matches the diameter of the rod and reel you are using. In other words, the line have to be strong enough to withstand the fishing that you want to practice all day. I still remember when braided fishing line was first introduced back in the 90’s. What an absolute eye opener it was! No more struggle of using nylon lines wich had memory and stretch to them. We were now able to have direct contact with fish, and actually feel what was going on below. For me that’s one of the best things about braided line, the direct contact! Because of the high breaking strength of these lines, we were also able to fish thinner than ever before, so less fish would be spooked. The first ever braided fishing line that I used, was Berkley’s Fireline. 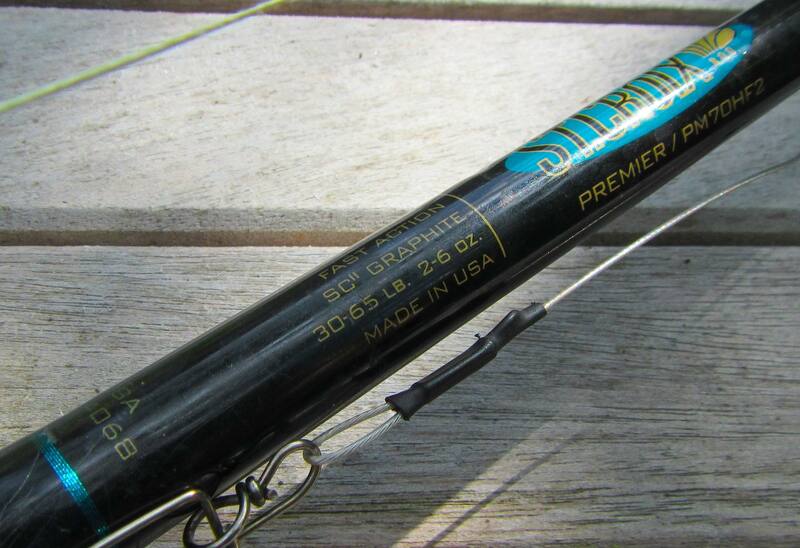 A couple of years later Berkley released a line on the market that was stronger than all lines before. It was Whiplash Pro, and since I’ve never fished with anything else! If there was some kind of award to be given for the best line ever, it would be handed out to this line. And I’m not saying that because I’m getting sponsored by them or something, it’s just my personal prefference. Whiplash Pro leaves all lines available in today’s market behind. Most lines wear and tear through heavy usage and UV light, but this line doesn’t. In fact, I have a reel that is equipped with a spool of Whiplash Pro for over 10 years now, and still works fine. Of course, I check the line now and then for any failures, and where needed I cut it, but it stands up to the usage of time, and still works great. Last year I pulled up a 30inch tractor tire up, while fishing the shallows with a Suick, and it didn’t snap! 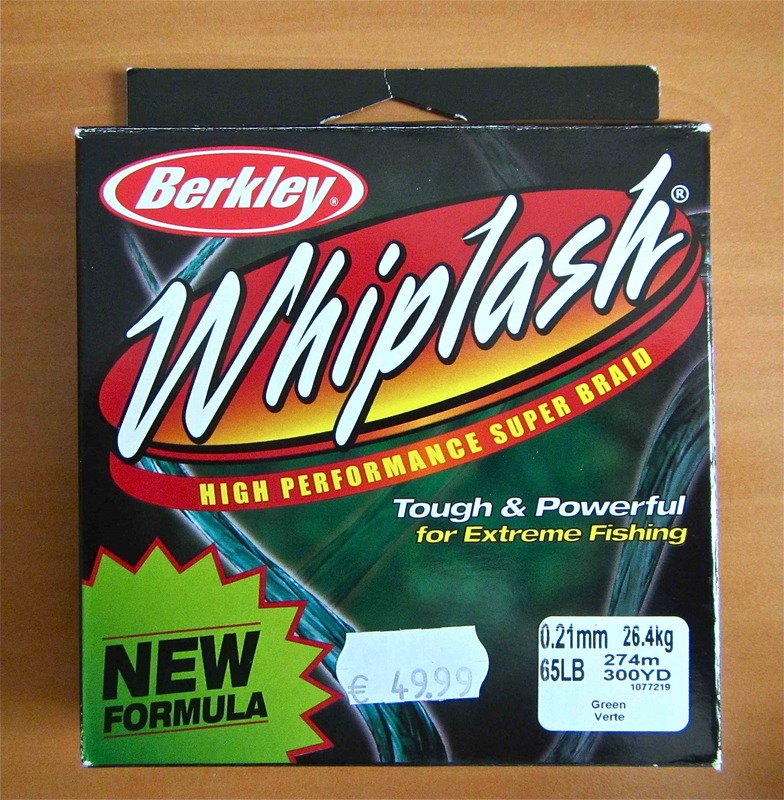 So if you are looking for a quality line, look no further than Berkley Whiplash Pro! The best line ever made! Your leader is perhaps the most important thing of all. People often invest in expensive tackle such as rods and reels, but totally forget about their leaders. In the end it’s what makes or breaks (literally) your fishing! Casting crankbaits, spinners, jerkbaits, swimbaits or any lure all day long, will wear and tear your material. I thought we were blessed that the scientists found about about single strand titanium wire, and in my eyes it was the best material out there for me to use. It suited all my styles of fishing. In fact, the biggest one I’ve caught, was landed on a single strand 50lb single strand titanium wire. You are told in the market’s advertising that it is unbreakable. Sadly this is not true, as I experienced recently on an unfortunate fishing trip. When a new fishing season opened in the summer, I decided to go for a greater breaking strength, and gear up to using 100lb. Not even was it stronger, but also the leader were a little bit heavier. Just what I needed to troll down big crankbaits into deep open water. I always make my leaders about 20inch, so when a fish does the ”crocodile” roll, I can be sure that my line doesn’t end up in his mouth, by wrapping the line around it’s body. Every Pike fisherman should force himself to use this kind of leader length, just because it’s way more safer than something else. One day while fishing for Pike, disaster stroke. I had just tied on a brandnew leader, because the previous one had landed over 50 Pike in a single week. Because I always aim for the best, I decided to tie on a new one, and trow the old one away. It probably wasn’t worn out at all, but I just wanted to make sure I didn’t break it on a big fish. The plus side of using single strand titanium is that it’s very strong, the downside…. well, because it’s only one single stand, you’ll never know when it will snap. And that’s exactly the main reason why I stopped using it. One day I was casting a jerkbait onto the horizon. I had just landed a 20 pound fish on a new tied on leader. All of a sudden I had something bigger on the line, I set the hook, and after that there was dead silence. I lost contact. Not only was my favourite jerkbait gone, but it also was stuck in the fish it’s mouth. I felt very bad about this, but there was nothing I could do about it. As I always make the leaders myself, I knew it wasn’t a cause of too tight loopes around the sleeves, or something like that. The leader had just snapped in half! I checked it before casting out again, and nothing to see, and all of a sudden this happends. That day, I turned myself away from using single strand titanium leader material of any kind. Of course, you can buy seven strand titanium nowadays, but it would be too expensive. So I needed to lookout for something else. And I found that something else in the simplicity of 7 strand downrigger cable. I changed to these type of leaders because it was cheap, and also strong. Really strong. I use 175lb now, and it had never let me down so far. The only downside of it is that it’s not kink resistant. If a Pike get’s the leader in it’s mouth, there will be a bend in the line, just like any other leader. Now that happends on a scale of 5 to 10, so it’s worth to take the risk, just because it’s cheap, and you can easy make another one. I use double sleeves on the loops for this kind of leader. Not only can I be sure that it doesn’t slip off, but also works as a protective second guard! What’s probably the most important thing of all on any kind of leader are swivels and locks! As far as my swivel concerns, I use ONLY ball bearing swivels. And the main reason why I do so is pretty simple, they can turn into any direction, left or right and make sure your leader will have maximum flexability and last longer. I use them in at least 300lb heavy duty. The lock that I choose to connect my lure to the leader is a so called ”Staylock”. Staylock’s carry their name for a reason. They ”stay” locked when it comes to handling big fish (small fish as well). Please forget about the so called duo locks, snaps or anything with this in general. Way to often I see people using these things. I do not trust them, and therefore I don’t use them. Ofcourse, I have used them, but those were the days in the past. Have you ever asked yourself, how often do I open the lock to your lure? Easy over 500 times I bet. And that’s the main reason why I use heavy duty material. Staylocks that carry a breaking strength of 300lb, won’t wear out so quickly like the other ones. It’s just like the titanium leader, you’ll never know when it snaps, and thats why you should go for quality. It won’t let you down, and the fish will thank you for it! A Nice big fish caught, thanks to high quality material. This one grabbed a 6” Grandma.